Restore Hope offers friendship to the working girls in the red light area of Bradford, providing practical support which includes giving out food and hot drinks, clothing and helping the women to access rehabilitation for those who want to break free from drug addiction. The team goes out onto the streets of Bradford in a mini bus, three times a week on Monday, Wednesday and Friday evenings. 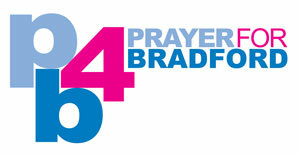 Please pray for the protection of these girls on the streets, that God will use the team to reach the girls and enable them to receive the help they need to get them off the streets of Bradford.